But while the party may be expanding what kind of candidates it will back, many of the organizations they rely on for support aren’t here for it. In response to Luján’s comment, several progressive groups released a joint statement of principles, stating that the party cannot afford to compromise on this position. The groups include NARAL Pro-Choice America and Democracy for America (DFA) as well as MoveOn Political Action, Planned Parenthood Action Fund, EMILY’s List, Working Families Party, Ultraviolet, Daily Kos, Demos, Progressive Change Campaign Committee, Indivisible Project, American Federation of Teachers, and Social Security Works. The right to decide how and when to have a family has a huge impact on other vital party issues, like the economy, education, and gender equality. But more important, the statement says, women cannot be free in a society that forces them to have children against their will. 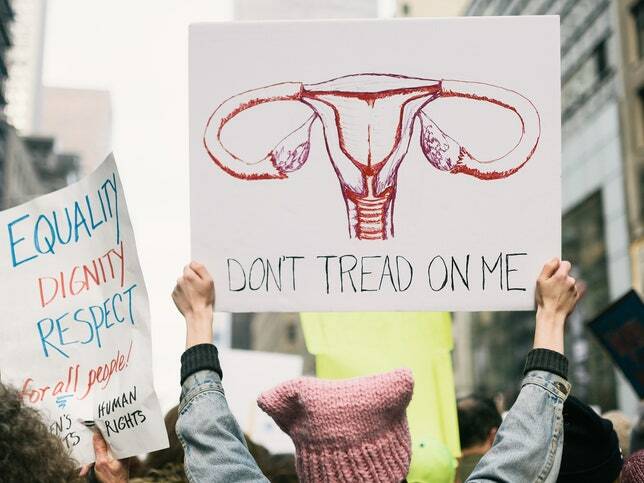 “As progressives, we stand united in the belief that a woman’s autonomy over her own body is not a secondary issue or a ‘social issue,’ but rather a human right and a necessity in order to attain and preserve economic security in her life,” it reads. While they are willing to support candidates who are personally against abortion but support others’ right to choose, the organizations pledged not to support any candidate with a history of voting to limit abortion or birth control access unless they’ve proved that they’ve changed their minds since those votes.